Born Mar 6 18971,2,3,6,7,8,9 [189310, about 189511], Jackson County, Alabama1,2,3,6,7,8,9 [Tennessee11]. McGee, Willie F., head-of-household, age 66, born in Tennessee, parents born in Tennessee; farmer. McGee, Cordelia, wife, age 69, born in Tennessee, father born in North Carolina; mother born in Tennessee. Hinshaw, George, grand-son, age 23, born in Alabama; parents born in Alabama; farm laborer, home farm. Hinshaw, Lucy, grand-daughter, age 23, born in Tennessee; parents born in Tennessee. Hinshaw, Elmer, great grandson [sic], age 1 year 5 months [unclear], born in Tennessee; father born in Alabama; mother born in Tennessee. Hinshaw, Rosie Lee, great grand daughter, age 6 months [unclear], born in Tennessee; father born in Alabama; mother born in Tennessee. Hinshaw, George W., head-of-household, age 33, born in Alabama; parents born in Alabama; first married at age 18; rented home; no radio in home; occupation: farmer, general farming; not a veteran. 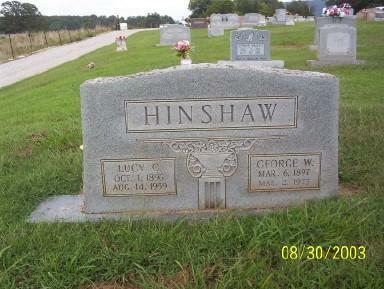 Hinshaw, Lucy C., wife, age 33, born in Tennessee; parents born in Tennessee; first married at age 18. 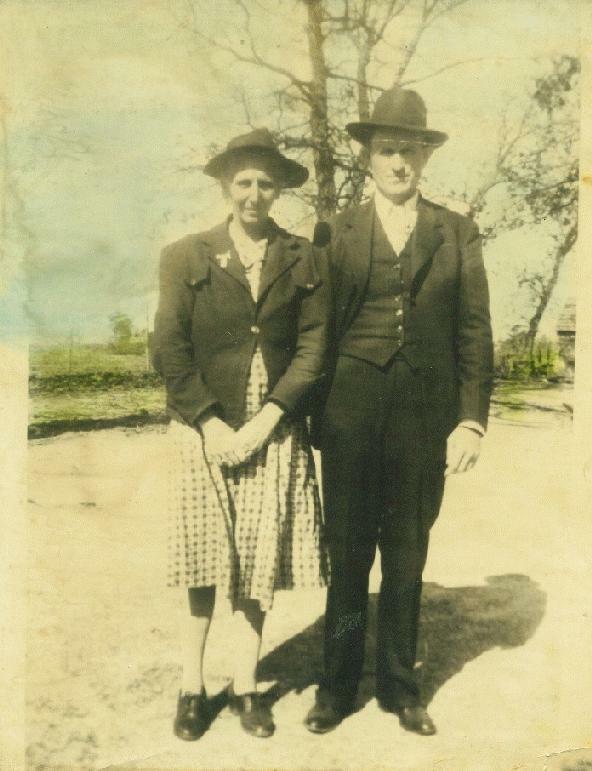 Hinshaw, Elma, daughter, age 11, born in Tennessee; father born in Alabama; mother born in Tennessee; attended school. Hinshaw, Rosie L., daughter, age 10, born in Tennessee; father born in Alabama; mother born in Tennessee; attended school. Hinshaw, Annie, daughter, age 9, born in Georgia; father born in Alabama; mother born in Tennessee; attended school. Hinshaw, Robie, son, age 7, born in Georgia; father born in Alabama; mother born in Tennessee; attended school. Hinshaw, J.D., son, age 6, born in Tennessee; father born in Alabama; mother born in Tennessee. Hinshaw, Vera, daughter, age 3 years 9 months [unclear], born in Tennessee; father born in Alabama; mother born in Tennessee. Hinshaw, Nina, daughter, age 2 years 3 months [unclear], born in Tennessee; father born in Alabama; mother born in Tennessee. Henshaw, George, head-of-household, age 43, born in Tennessee; completed 3rd grade; rented farm; occupation: farm, farming. Henshaw, Lucy, wife, age 43, born in Tennessee; completed 8th grade. Henshaw, J.D., son, age 15, born in Tennessee; completed 5th grade; occupation: farm, farming. Henshaw, Vera, daughter, age 14, born in Tennessee; completed 5th grade; attended school. Henshaw, Nina, daughter, age 12, born in Tennessee; completed 4th grade; attended school. Henshaw, Raymond, son, age 10, born in Tennessee; completed 3rd grade; attended school. 1920 census, Cedar Grove Township, Walker County, Georgia; roll T625-281, ED 184, page 5A, line #34, dwelling #89, family #94. 1930 census, District 4, Franklin County, Tennessee; roll T626-2246, ED 6, page 7A, line #40, dwelling #124, family #132. 1940 census, Franklin County, Tennessee; roll T627-3891, ED 26-23, page 3A, line #35, household #48. Obituary of Raymond Earl Hinshaw. 1900 census, 16th District, Franklin County, Tennessee; page 237B (sheet 8B), line #63, dwelling #144, family #146. 1910 census, Civil District 5, Franklin County, Tennessee; roll T624-1499, ED 24, page 82A, line #13, dwelling #92, family #95. Photo courtesy of Bobbi (Davis) Wheat. Photo courtesy of Kathy Irene Hinshaw.